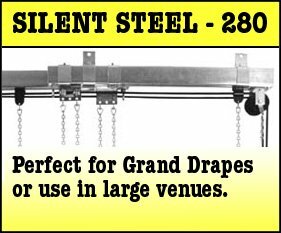 Just as important as having beautiful curtains is having reliable tracks that support and transport them across the stage. 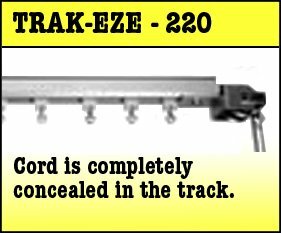 And when the drape fits the track and the track fits the drape, you’re in for a show! 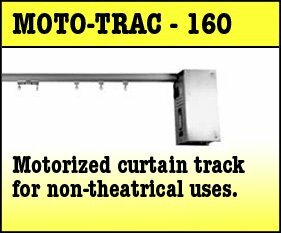 We’re proud to feature a full complement of superior-quality American-made curtain tracks by ADC, one of the premier manufacturers of theatrical curtain transport systems and the only brand that has won UL approval. 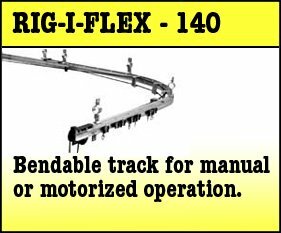 From the most basic manual rope-pull track to fully motorized and automated systems, ADC tracks assure a moving performance at the highest standards. If you don’t find it, we can probably make it – and yes you can Rent it! Click here to contact us or call us at (310) 639-6000. Sew What? Inc is proud to be a member of the ADC (Automatic Devices Company) Dealer Network. ADC carries the reputation of being the leading, largest and foremost manufacturer of stage tracks and curtain machines in the world. Since 1919 the name “ADC” has been synonymous with quality track products, smooth and dependable operation, and prompt courteous service. 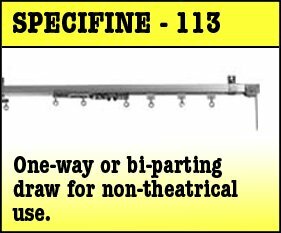 ADC tracks are manufactured specifically for theatrical use. Each product is custom-made and is therefore given individualized attention. 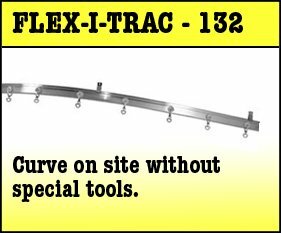 Curtain tracks are custom length and are for manual or motorized operation. 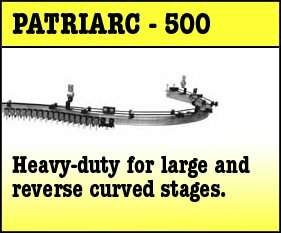 They can be installed for straight, curved or serpentine operation, as illustrated below.